This post is a continuation of Creating Organization charts in Visio – Part 1. At the end of part one we had created our spreadsheet populated with our Org Chart data, with the Organization Chart Wizard open step through each stage, selecting the appropriate options. 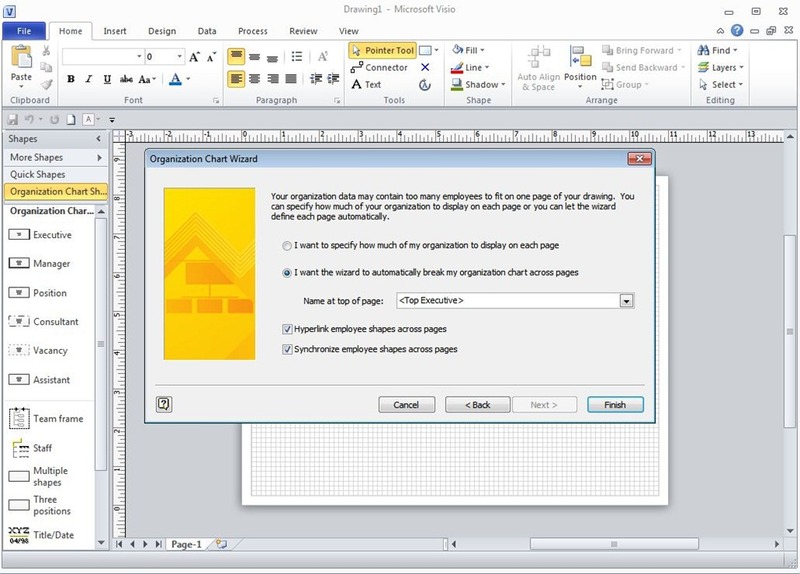 In addition to showing what will be presented in the chart, the wizard provides options for what fields will be displayed in the shape data dialog after the chart has been generated. 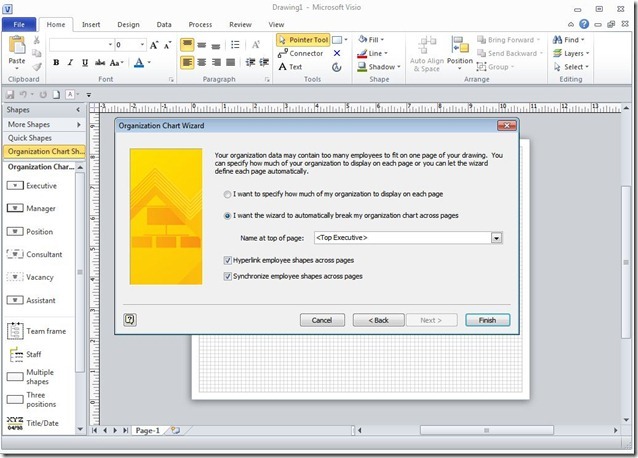 By using the Organization Chart Wizard, editing and updating becomes a simple process that does not require you to regenerate the chart using the Excel import function. 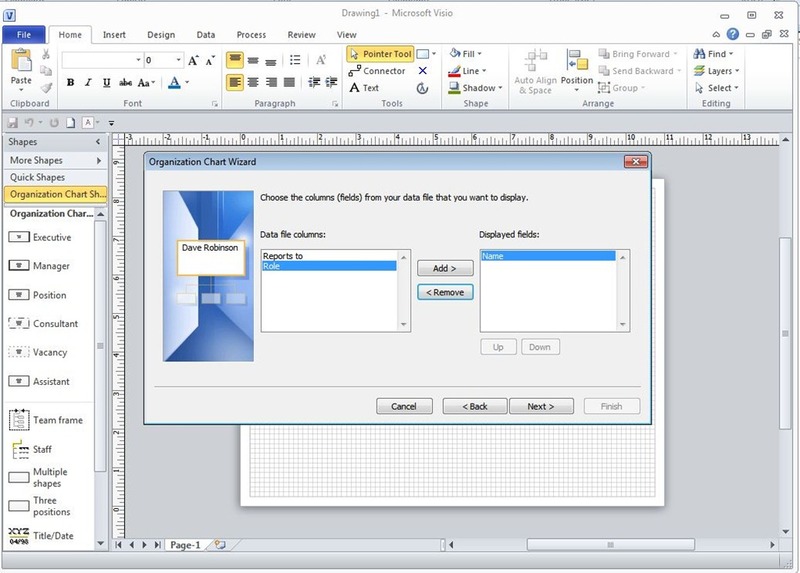 The final option for layout from the Excel file data is made on the screen shown below. This can be used to determine the top level organization position on the page and whether employee charts that break across pages are hyperlinked. Selecting layout and display options before chart generation. Once you have clicked Finish, the Org Chart Wizard creates the Org Chart based on the spreadsheet data. 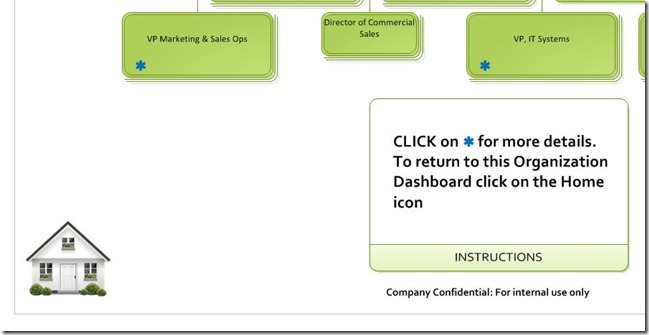 Most Org Charts will require multiple pages to fit all the data. The Wizard attempts to place as many shape comfortably on each page. When it detects that shapes will not fit, it creates a linked lower level page. Please note that a blank reports_to role field will be placed on it’s own separate page. Note: We recommend using an addition notation should be made if you are delivering these charts via hyperlinked PDFs or web pages. This should make it clear to the reader what action to take to get to the next page in the organization layout (see example below). Hyperlinks are made clear by creating a visible marker to show which areas are linked. 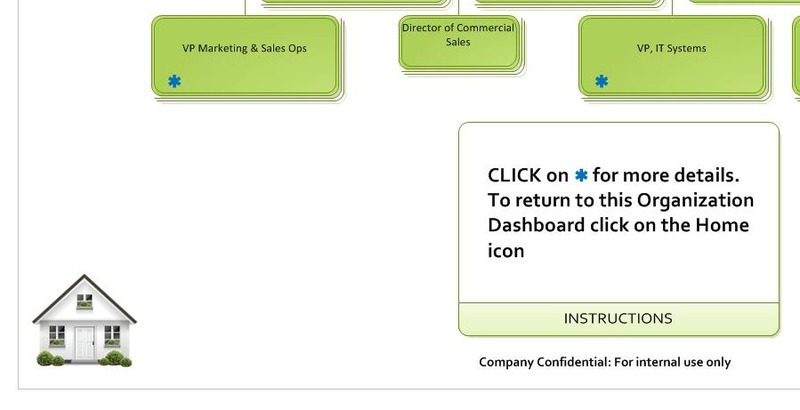 In the example above, a navigation image was created for returning to the top level organizational chart, often referred to as a dashboard. In this case a “home” image was added to the background of each page and hyperlinked to the top level page.